What does Chocolate Rain mean? Chocolate Rain is an original song by Youtuber, Tay Zonday. It became a viral meme in 2007, thanks to sites like 4chan and Digg. In the lyrics of the song, the term Chocolate Rain itself is intended to be a stand-in for institutional racism. The only part we really remember is ‘Chocolate Rain’ and his ability to breathe. Where does Chocolate Rain come from? Chocolate Rain is the title of an original song by Tay Zonday, which he posted to his YouTube channel on April 22, 2007. The video, which mostly depicts Zonday singing into a microphone, quickly became a viral sensation. Chocolate Rain’s popularity might seem quizzical to some, but there are many things to like about the video. First, Zonday’s voice is extremely deep, which might be unexpected considering how youthful he looks. There is also an out-of-left-field caption, “**I move away from the mic to breathe in,” which appears–momentarily, confusingly–on the screen. There are no other subtitles in the video. Also, taken at face value, the lyrics seem nonsensical. An excerpt: “Chocolate Rain / Build a tent and say the world is dry / Chocolate Rain / Zoom the camera out and see the lie.” However, in an interview with Good Mythical Morning, Zonday confirmed that, indeed, Chocolate Rain was about social justice at its core–he just didn’t want to force the meaning onto anyone. 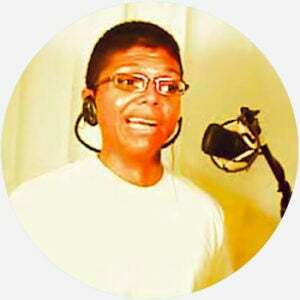 Chocolate Rain is most typically used to reference the original song. In fact, many of the people who use the term Chocolate Rain use it as referential humor. As in, “Hey, remember that song Chocolate Rain?” and then everyone has a good laugh about old internet memes. The most surprising usage of the term is to reference unnatural/liquified bowel movements. Twitter users like to make posts about bowel movements and then include the hashtag #chocolaterain.